Bayern Munich striker Robert Lewandowski joined an elite group on Tuesday night, with his brace in the 5-0 thrashing of Besiktas lifting him into the all-time top ten scorers in UEFA Champions League history. The 29-year-old scored Bayern's fourth and fifth goals as Jupp Heynckes' side took charge of their round of 16 tie against the Turkish giants – incidentally the biggest ever home first-leg win in the knockout rounds of the competition. 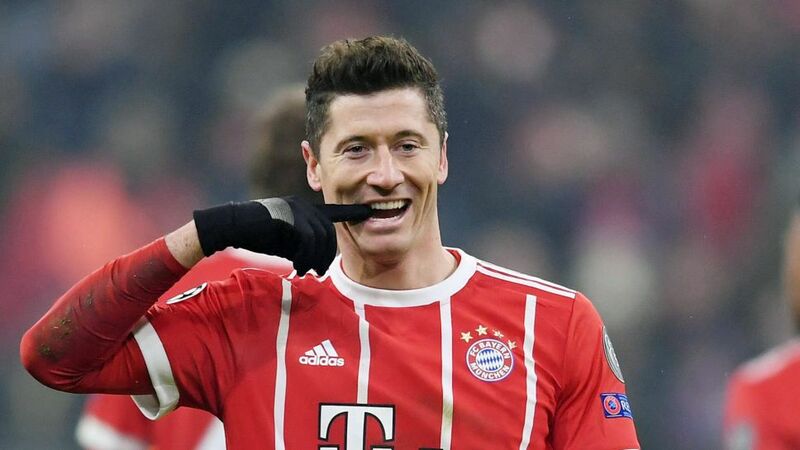 Lewandowski's double in his 67th Champions League appearance took his tally to 45 (28 for Bayern; 17 for former club Borussia Dortmund), seeing him overtake Didier Drogba in the overall standings and putting him in tenth place, just one behind legendary Italian striker Filippo Inzaghi and three behind Zlatan Ibrahimovic and Andrey Shevchenko. It was just the latest milestone in a series of goalscoring achievements for the Polish forward, who currently leads the Bundesliga standings with 20 goals this season. Last year he set a new best-mark in European qualifying for the 2018 FIFA World Cup; he was recently named Poland's Player of the Year for a seventh successive time; and he also equalled Heynckes' record of scoring in 11 consecutive home games since the start of the season in the leaders' victory over Schalke on Matchday 22, a run he could extend to 12 this weekend against Hertha Berlin. Click here for more Bayern news and features!